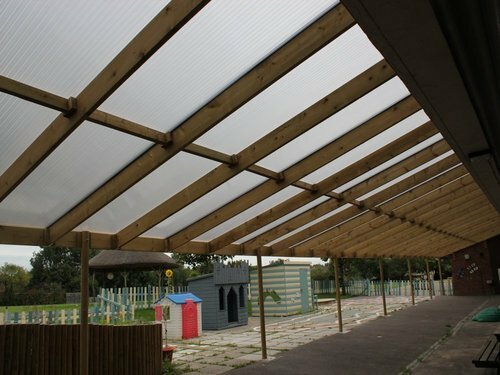 As a client-focused corporation, we are readily engrossed in delivering a broad assortment of Polycarbonate Pergola. Extensively acclaimed in the industry because of their ruggedness and corrosion resistance, these provided pergolas are hugely acknowledged and treasured. More to this, these are examined thoroughly before being shipped at the end of our valuable customers. We have started our services in 2001 in PUNE. We Specialized in Building Supplies like windows, Safety doors, Railing,MS Grills, Metal Gates, Outdoor Shades, Glass Pergola, SS and MS Railings, Cast Iron Railings, Rolling and Sliding Shutters, Sliding Windows, Aluminum Partitions, Safety Door, Metal Brackets, Steel Furniture, Aluminum Doors, Polycarbonate Pergola, Door Fittings, Laser Cutting Services, Sheet Cutting Services, Sheet Bending Services and Metal Fabrication Services. These offered assortment are designed by taking high grade components as per the well-defined industry norms. Our offered ranges of products are broadly demanded among the clients for their unique attributes. We are offering range as per the client specific need at nominal market price range. Apart from this, we are also offer Fabrication Service to our valued clients.